Knife gate valves are so-called because of their ability to cut through media containing solids. They work by lifting a round or rectangular gate out of the path of the media. The sealing surfaces between the gate and seats are planar, so knife gate valves are often used when a straight-line flow of fluid and minimum restriction is needed. 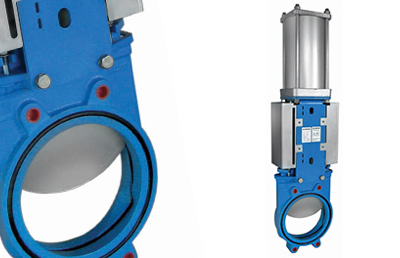 Knife gate valves were designed for specific use in the pulp and paper industry. This was due to stringy pulp impinging between the wedge and seat of a normal gate valve and preventing flow shut-off. How does a knife gate valve work? A knife gate valve works by allowing thick media to easily flow over soft seals with no interference. They work by chopping up the media as it passes through the valve. Today knife gate valves are used in numerous processing plants all over the world and come in large sizes. This makes it easier for the valve to handle thick flows of media including grease, oils, slurry, waste water and paper pulp. Due to this, knife gate valves have low-pressure limitations and are designed to seat the blade into a soft seal with no disruption. The main reason for choosing a knife gate valve is that they are cost-effective, easy to actuate and light. They are also extremely effective in many industries and processes. Knife gate valves were designed with a sharp edge to cut through the pulp and seal. With this type of useful attribute, the knife gate valve has become invaluable in applications involving slurry, viscous fluids and other systems where impingement is an issue. 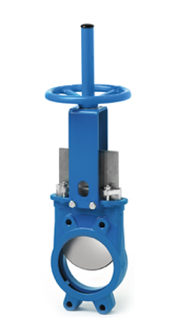 Orbinox offers a wide range of knife gate valves. Their EX model is a uni-directional wafer valve that has been developed for general industrial service applications. The seat and body of the EX model have been designed to assure non-clogging on solids. The valve can be used in many industries, including pulp and paper, wastewater treatment plants and food and beverage. Orbinox’s EB model knife gate valve has been designed to be used in a number of general industrial service applications. 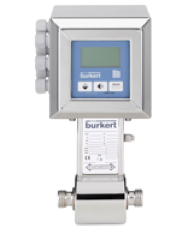 The body and seat have been designed to assure non-clogging shutoff on suspended solids in a number of different industries, including wastewater treatment plants, chemical plants, food and beverage and more. To discuss the types of knife gate valves we offer here at BM Engineering, speak to an adviser today by calling 0141 762 0657 or email sales@bmengineering.co.uk.